Most of our clients's homes have spotty, or sometimes nonexistent cell phone signal coverage. This includes people with either Verizon Wireless or AT&T Wireless. Many use their cell phones as their main means of communication, so not receiving calls is a major problem. There is a great solution for this problem, a Cell Phone Booster. 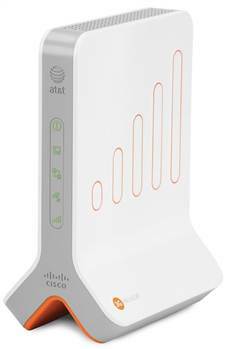 These cell phone boosters plug right into your homes existing high speed internet system, and virtually give your house a strong reliable cell phone signal. Each carrier makes such units, so you'll have to pick which service you require. Installation is easy and there are no monthly bills, just a one time fee for the unit. For AT&T you are able to plug in a certain amount of cell phone numbers into the booster, whereas the Verizon unit just automatically works with any Verizon cell phones that are in range. Most of the units required to be near a windows, so that the unit can pick up a GPS signal for 911 location purposes.